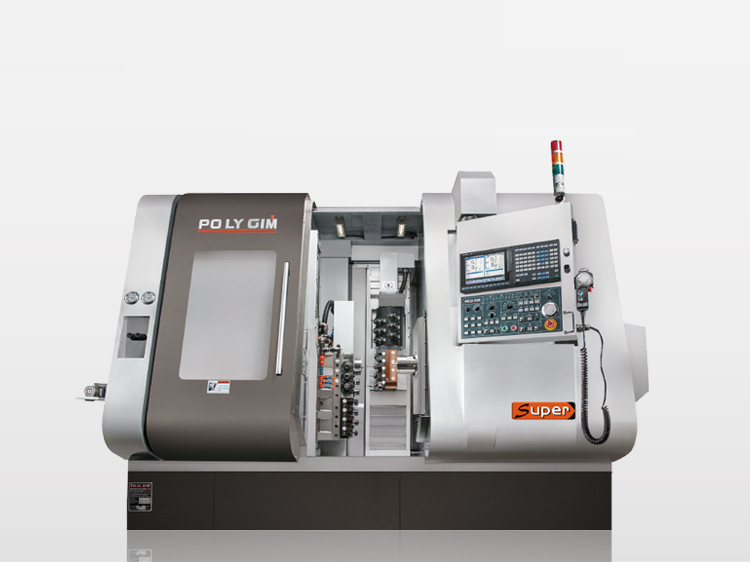 The SUPER CSL from Poly Gim is a multitasking turning center designed for Turning/milling operations. 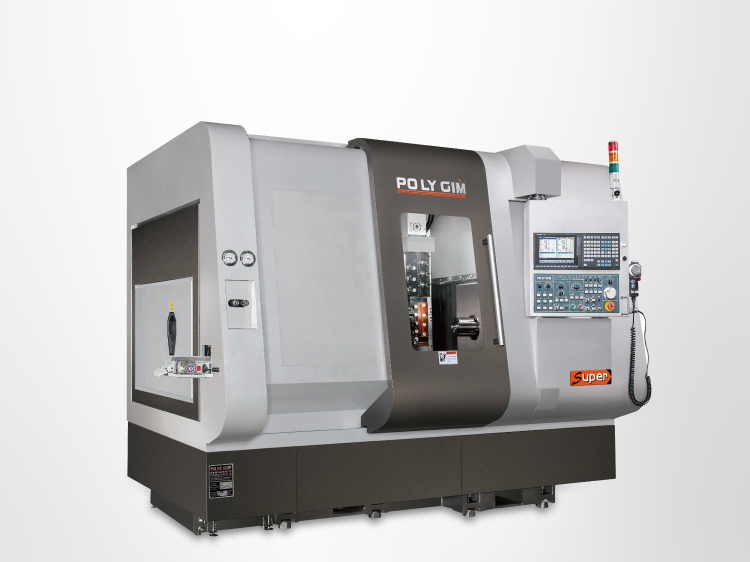 In addition to equip with various tool holders to meet versatile machining requirements , this machine is also designed with main and sub-spindle that allow any complicated part to be accomplished with only one setup. B-axis can be rotated 360˚ to perform any degree of drilling, tapping and milling operations. B-axis rotation is driven by a servo motor, providing high indexing accuracy of 0.0001˚. Main and sub-spindle speed : 3,000 rpm. Through hole diameter of main and sub-spindle:Ø65 mm. Both main and sub-spindle have C-axes function for performing contour machining. All moving axes are mounted with heavy duty, roller type linear motion guides. The machine base is manufactured from high quality cast iron, tempered and stress relieved to eliminate structural deformation problems.